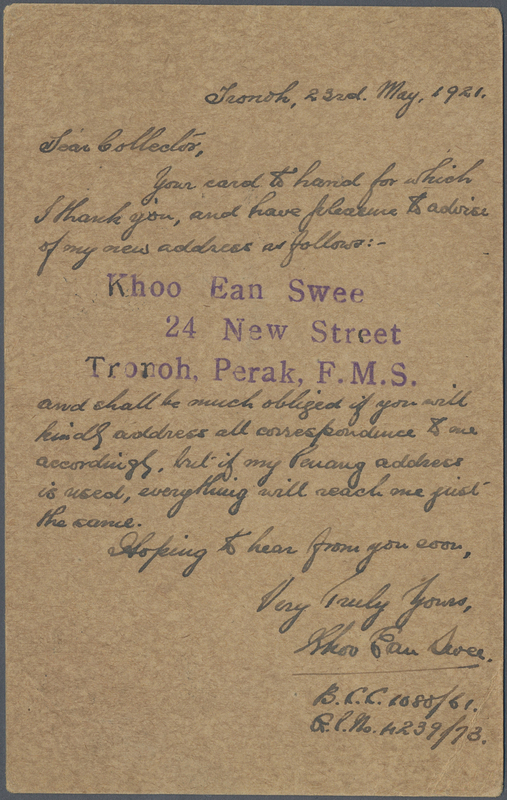 1921 Destination FINLAND: Postal stationery card 4c. on 3c. of Fed. 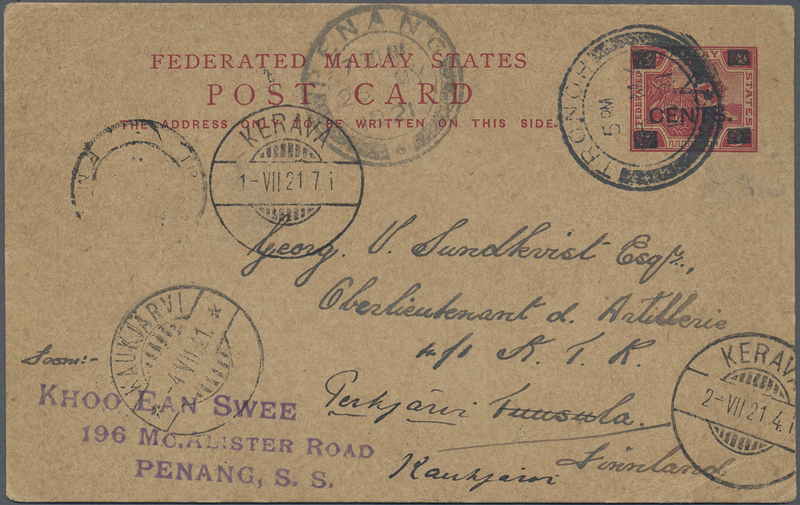 Malay States used from TRONOH, Penang to a First Lieutenant of the Artillery at Tuusula, Finland and re-directed to Kaukjärvi, cancelled by '16 May 21' cds, with Ipoh, Penang and Kerava transit datestamps and '4.VII.21' arrival cds alongside, fine.